DURATION: Available NOW & Short term - Minimum 2 months! AMENITIES: Fitness center, yoga room, swimming pool with ocean view, deck area, movie theater. 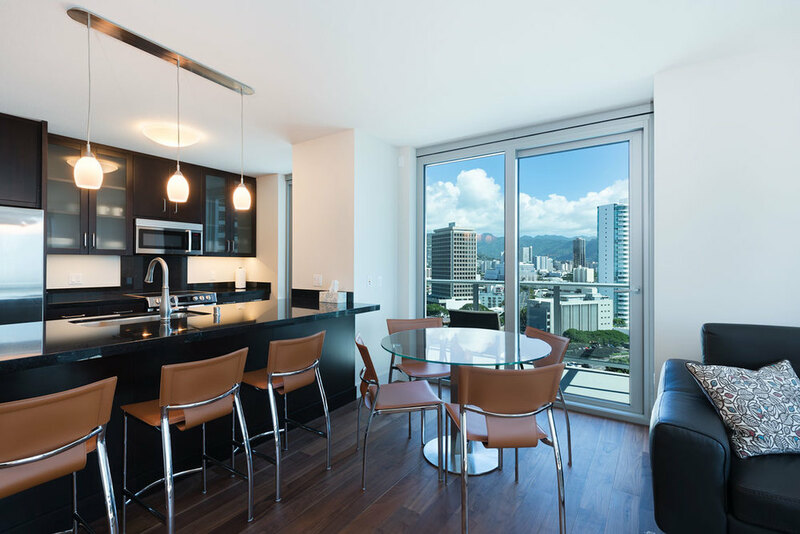 Waihonua is the latest addition to luxury residences here in Hawaii. 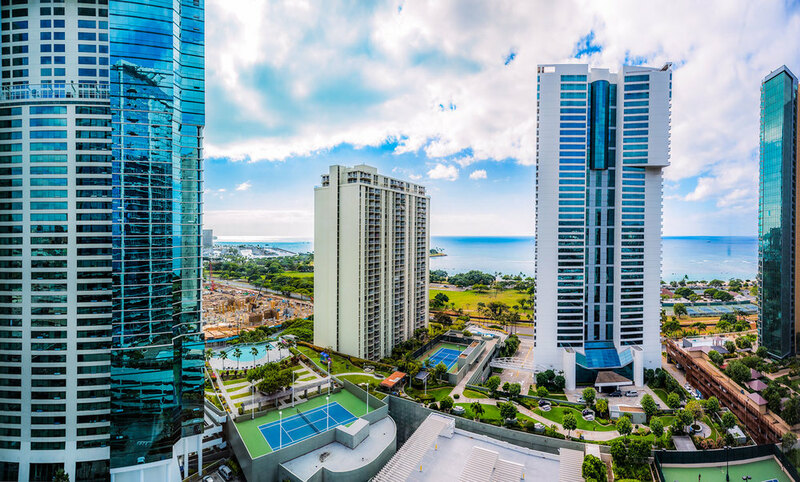 Ideally situated between downtown Honolulu and Waikiki, your close to the best of everything Oahu has to offer. 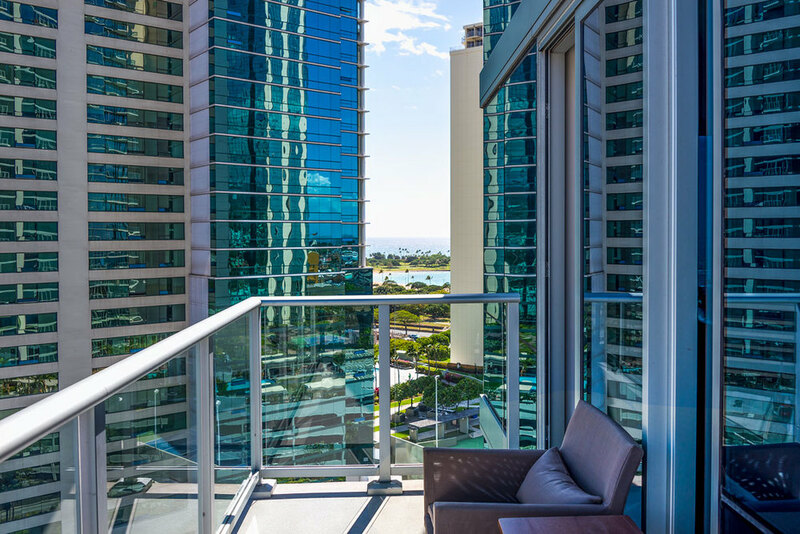 Walk over to the world's largest outdoor shopping center, Ala Moana, to choose from over 290 shops and restaurants. You can also walk to the white sand beaches across the street at Magic Island with acres of tropical foliage and lawns. 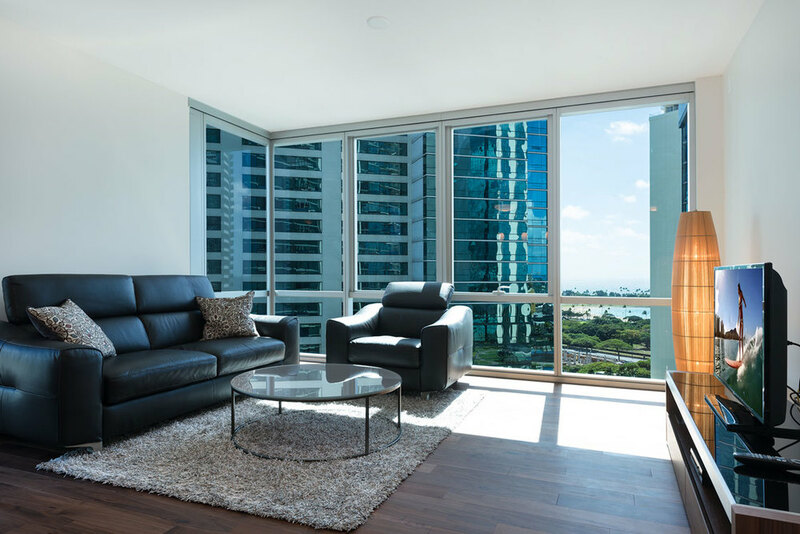 Experience the rare opportunity to stay in a newly finished luxury condominium in our 15th floor unit. 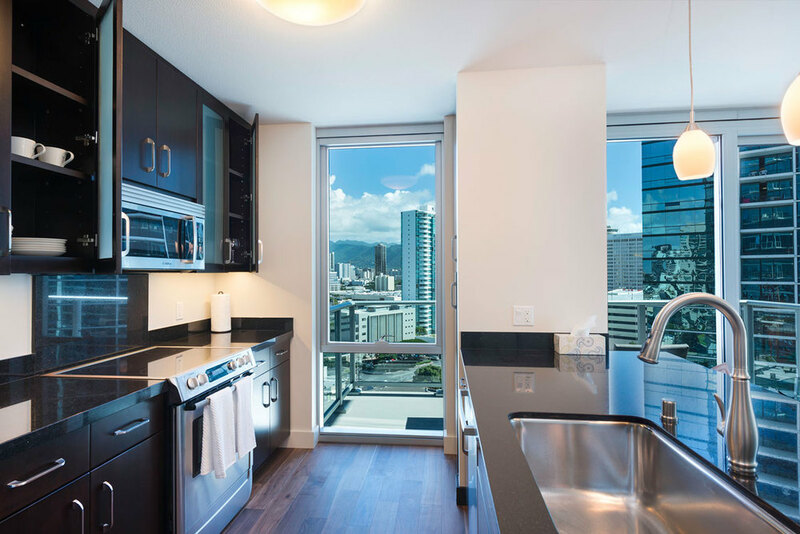 Beautiful new tropical hardwood flooring, stone counter tops, fixtures, and furnishings surround you. 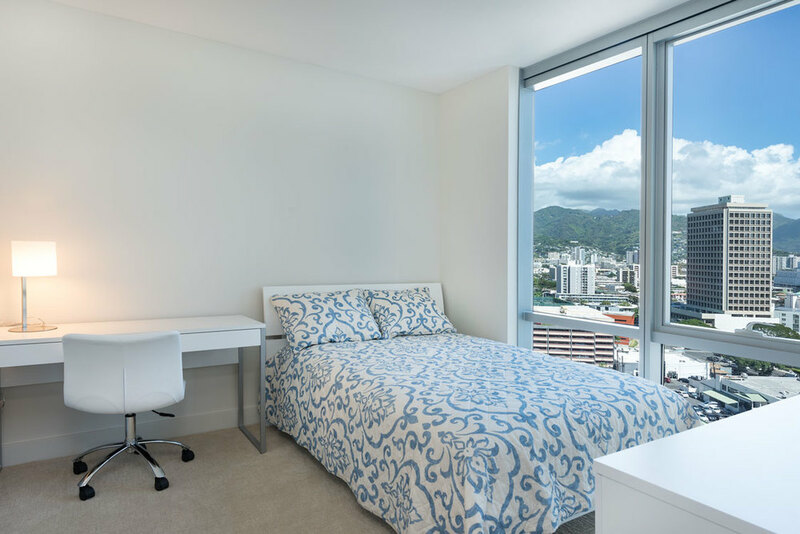 Floor to ceiling windows look out to the ocean, city, and mountains. 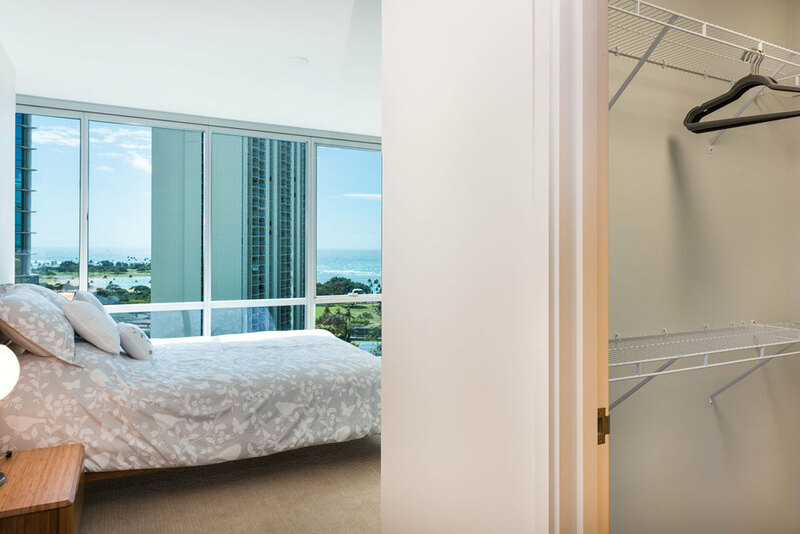 This large 3 bedroom 2 bath private residence has everything you'll need for a memorable Hawaiian holiday. 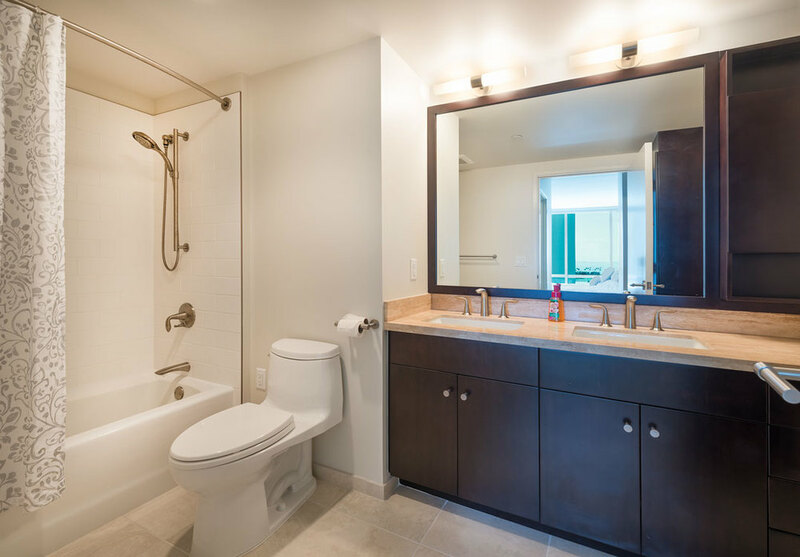 Waihonua features hotel style luxury amenities. A resort-like pool deck with tropical landscaping and gorgeous recreation area. Indoor lounge and theater room just to name a few. This exclusive getaway is sure to please.